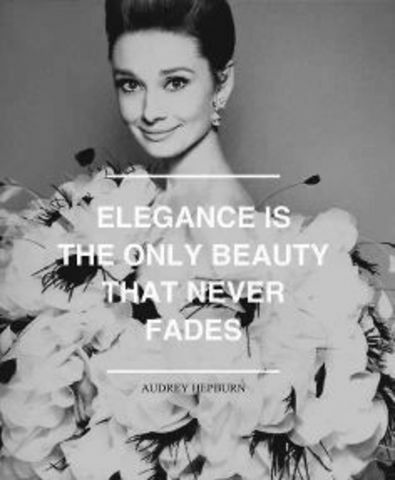 Audrey Hepburn, a British actress, was born on May 4, 1929 in Brussels, Belgium. 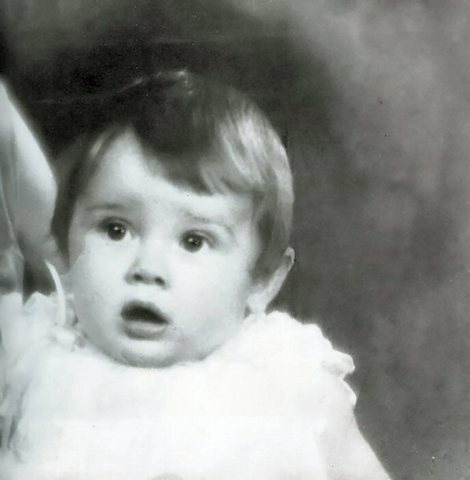 Hepburn spent her childhood between Belgium, England and the Netherlands. In Amsterdam, she studied ballet with Sonia Gaskell before moving to London in 1948, continuing her ballet training with Marie Rambert, and then performing as a chorus girl in West End musical theatre productions. Her dreams and ambitions relate to me, because when I get older I want to become an actress, and make my mark in the world. After Britain declared war on Germany in September 1939, Hepburn's mother relocated her daughter back to Arnhem in the hope that, as during World War I, the Netherlands would remain neutral and be spared a German attack. While there, Hepburn attended the Arnhem Conservatory from 1939 to 1945. She had begun taking ballet lessons during her last years at boarding school, and continued training in Arnhem under the tutelage of Winja Marova, becoming her "star pupil". Following minor appearances in several films, Hepburn starred in 1951 Broadway production, "Gigi", after being spotted by French novelist Colette, on whose work the play was based. She shot to stardom for playing the lead role in Roman Holiday, 1953, because she was the first actress to win an Academy Award, a Golden Globe and a BAFTA Award for a single performance. 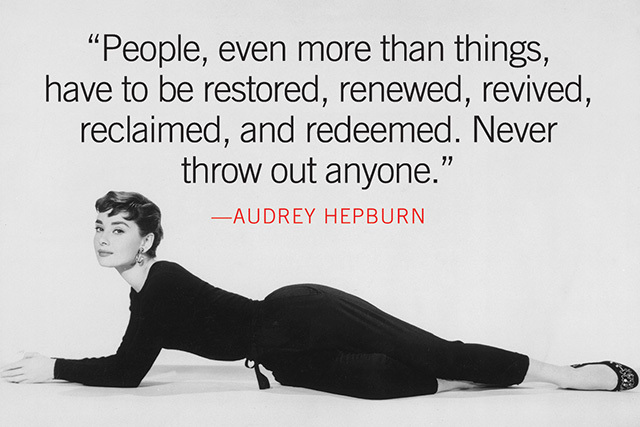 The same year Hepburn won a Tony Award for Best Lead Actress in a Play for her performance in Ondine. She went on to star in a number of successful films, such as Sabrina 1954, The Nun's Story 1959, Breakfast at Tiffany's, 1961, Charade, 1963, My Fair Lady, 1964, and Wait Until Dark, 1967, for which she received Academy Award, Golden Globe and BAFTA nominations. Hepburn won a record three BAFTA Awards for Best British Actress in a Leading Role. In recognition of her film career, she was awarded the Lifetime Achievement Award from BAFTA, the Golden Globe Cecil B. DeMille Award, the Screen Actors Guild Life Achievement Award and the Special Tony Award. She remains one of the few people who have won Academy, Emmy, Grammy and Tony Awards. 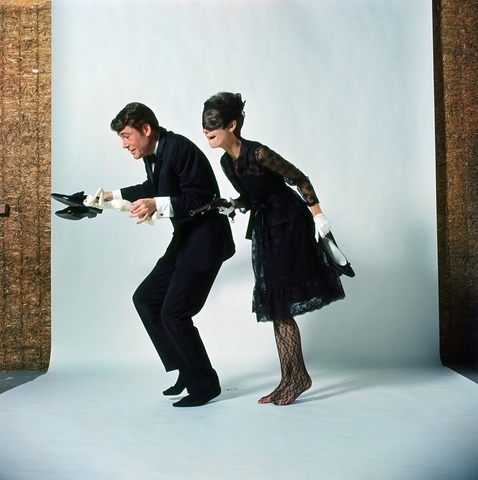 After 1967, Hepburn chose to devote more time to her family and acted only occasionally in the following decades. She attempted a comeback in 1976, co-starring with Sean Connery in the period piece Robin and Marian, which was moderately successful. In 1979, Hepburn reunited with director Terence Young in the production of Bloodline, sharing top-billing with Ben Gazzara, James Mason and Romy Schneider. The film, an international intrigue amid the jet-set, was a critical and box-office failure. Hepburn's last starring role in a feature film was opposite Gazzara in the comedy They All Laughed (1981), directed by Peter Bogdanovich. The film was overshadowed by the murder of one of its stars, Dorothy Stratten, and received only a limited release. Six years later, Hepburn co-starred with Robert Wagner in a made-for-television caper film, Love Among Thieves (1987), which borrowed elements from several of her films, most notably Charade and How to Steal a Million. 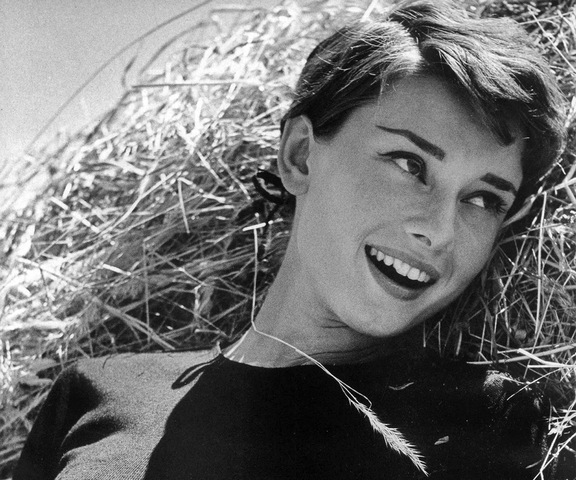 After finishing her last motion picture role in 1988—a cameo appearance as an angel in Steven Spielberg's Always—Hepburn completed only two more entertainment-related projects, both critically acclaimed. Gardens of the World with Audrey Hepburn was a PBS documentary series, which was filmed on location in seven countries in the spring and summer of 1990. For the debut episode, Hepburn was posthumously awarded the 1993 Emmy Award for Outstanding Individual Achievement – Informational Programming. 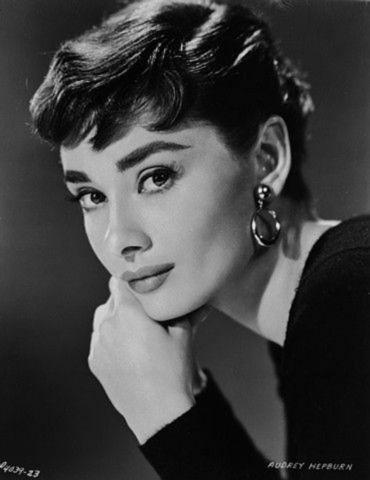 The other project was a spoken word album, Audrey Hepburn's Enchanted Tales, which features readings of classic children's stories and was recorded in 1992. It earned her a posthumous Grammy Award for Best Spoken Word Album for Children. She remains one of the few entertainers to win Grammy and Emmy Awards posthumously. She dedicated the remainder of her life to helping impoverished children in the poorest nations. 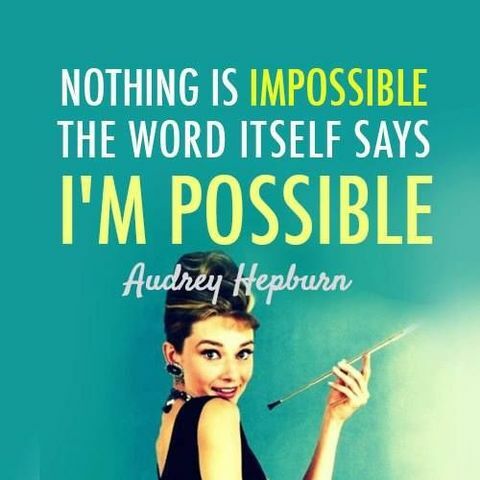 Hepburn's travels were made easier by her wide knowledge of languages; besides being bilingual in English and Dutch, she also was fluent in French, Italian, Spanish, and German. 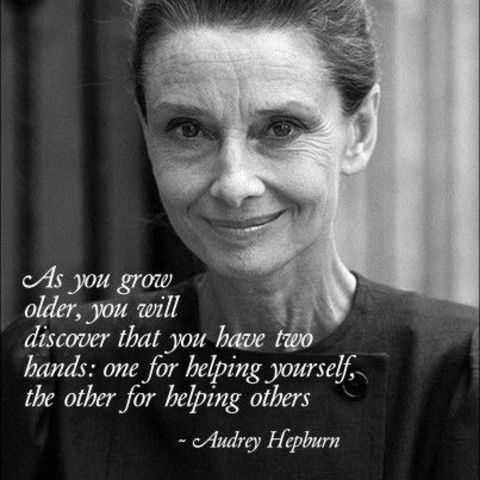 Hepburn was appointed a Goodwill Ambassador of UNICEF. United States president George H. W. Bush presented her with the Presidential Medal of Freedom in recognition of her work with UNICEF, and the Academy of Motion Picture Arts and Sciences posthumously awarded her the Jean Hersholt Humanitarian Award for her contribution to humanity, with her son accepting on her behalf. Though she had done work for UNICEF in the 1950s, starting in 1954 with radio presentations, this was a much higher level of dedication. 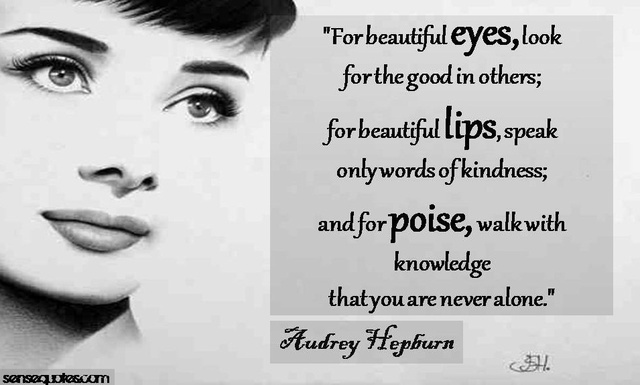 Audrey Hepburn died on January 20, 1993, at the age of 63. 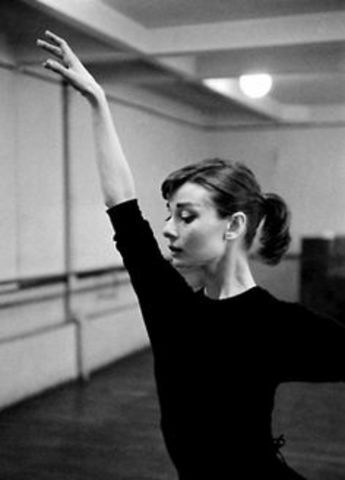 Hepburn was diagnosed with Appendiceal Cancer. She died at Tolochenaz, Vaud, Switzerland, and her resting place was Tolochenaz Cemetary, in Tolochenaz, Vaud.